I was disappointed when I heard that Hastings Pier went into administration back in November last year, but I was not surprised that it actually happened, because of several factors which I demonstrated in one of my letters which was published in Hastings Observer earlier this year. 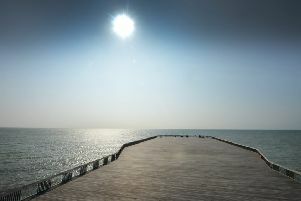 I feel sad for the people who campaigned to save the pier after the 2010 fire, and I would also like to thank the Friends Of Hastings Pier for trying to raise the money to keep it in their ownership. I personally think that the pier failed to make a profit or break even under its current form, of operation, for example Hastings Pier does not have any of the following disco hall, amusements, rides, not like Eastbourne Pier which I believe makes money for Eastbourne Pier. Hastings Pier only has around 12 huts, two restaurants and cafes depending on what you would like to call them, a museum which you can donate to if you wish, and a nice walk which you can walk to the end of the pier if you wish, but you do not have to pay to do that, so how is the pier going to break even under its current system? I think that Eastbourne Pier owner Sheikh Abid Gulzar is is going to have to invest in the pier if he wants to make it a thriving pier; I personally suggest putting a restaurant on their which can seat at least 200 people, or an arcade. If this is not possible I would suggest building on it and having around 50 independents shops, takeaway outlets and bars, this sort of thing makes a big profit in Brighton and Eastbourne so why would it not make a profit at Hastings Pier.